The perfect gift for two special people in your life. 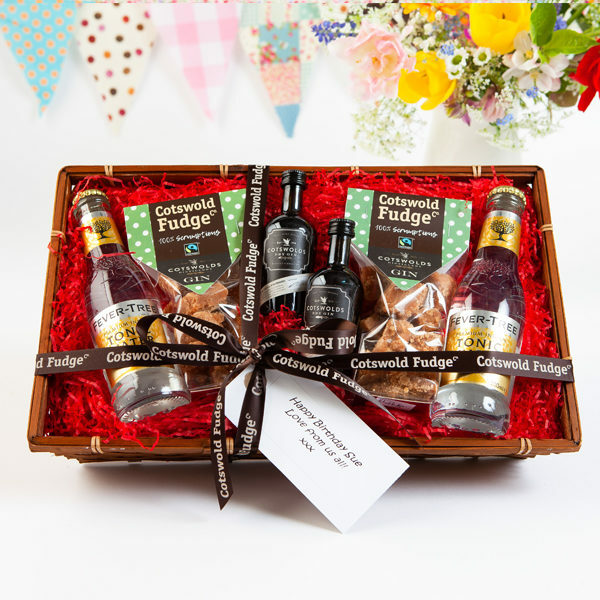 Each attractive wicker basket features two 5cl bottles of fabulous Cotswold Gin, two Fever Tree tonic bottles and two bags of our delicious Cotswold Gin fudge, all cello wrapped to keep it pristine in transit. This item contains alcohol. Alcohol is not for sale to people under the age of 18. By placing an order for this item you are declaring that you are 18 years of age or over.